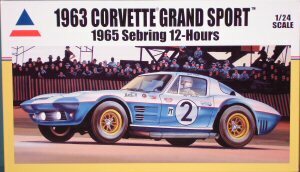 The Corvette Grand Sport was a modified stock car with a fuel injected 327 engine generating 360 horsepower on a lightened 2000 pound body. Grand Sport number 005 belonged to Roger Penske and was used in a few races before being purchased in 1964 by George Wintersteen. Wintersteen intended to enter the 1965 Sebring 12 hour race, but during training, the front-end of the car was smashed up in an accident. A stock Sting Ray front end was grafted onto the body as part of the repairs. Wintersteen did race Grand Sport chassis number 005 at Sebring and finished fourteenth in the race. 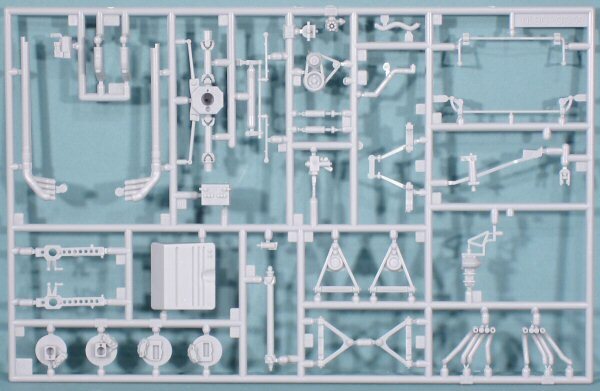 Accurate Miniatures has re-released the two Grand Sport Corvette kits that haven't been on the market for a number of years. 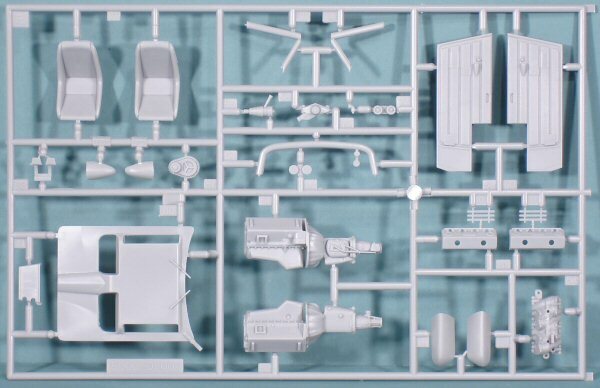 This example represents Wintersteen's Grand Sport chassis 005 as it appeared at Sebring, but markings are included for some of the work up races, should you choose to build the kit representing an earlier point in its career. 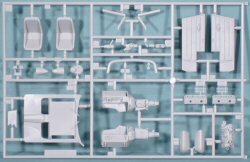 The kit is molded in light gray styrene and presented on five parts trees, plus a tree with clear parts and a small tree with the clear red tail light lenses. The body is also molded in light gray. 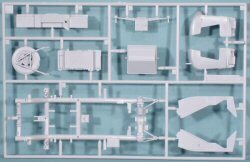 For those of you that missed the first release of this kit, this is by far the most detailed Corvette offered in this scale. The engine alone is work of art that only lacks ignition wiring from being complete. 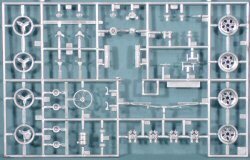 The chassis is a complete model of its own with very intricate suspension, drive train, braking, steering, and other details. The interior is fairly straightforward for a vehicle that has been lightened for racing and only supplemental safety equipment added. For those of you who have seen this kit before, there are a few minor differences. First, the photo-etch was done by Eduard this time and the quality shows. In addition, the photo-etch fret on the right has additional Corvette logos that were not present on the first release. The photo-etched hood grillework is nearly identical to the first release. Second, the first release had vinyl paint masks that were not done for this release. 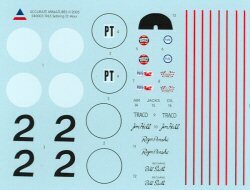 Third, the decal layout is different and are nicely printed with one notable concern - the circle 2 racer identification markings are THREE-part decals. These were done as one layer in the first release. 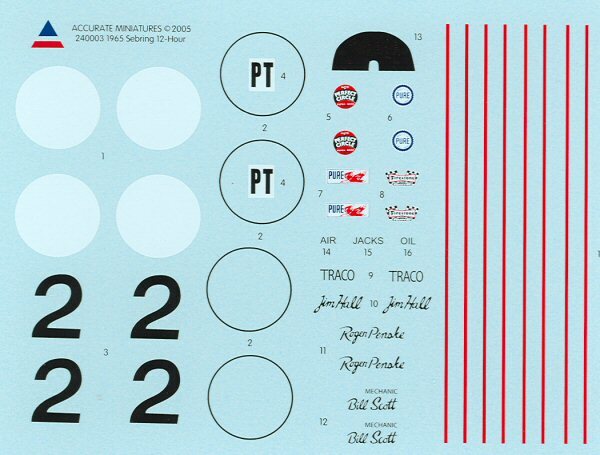 Three-part decals mean that you're creating an unacceptably thick decal to render a simple race number and will mar the otherwise smooth finish of your paintwork. Fourth, the Goodyear logos have been removed from the tires in this release. For whatever reason, unlike the other tire manufacturers, Goodyear believes its logo is worth you paying extra for their license fees and this ridiculous practice is enough to make me a Bridgestone or Firestone customer. Kudos to Accurate for not incurring that cost and passing it along to us. Finally, the chrome parts aren't. In the first release, the wheels and other details had the same shiny chrome that plagues most other car kits. 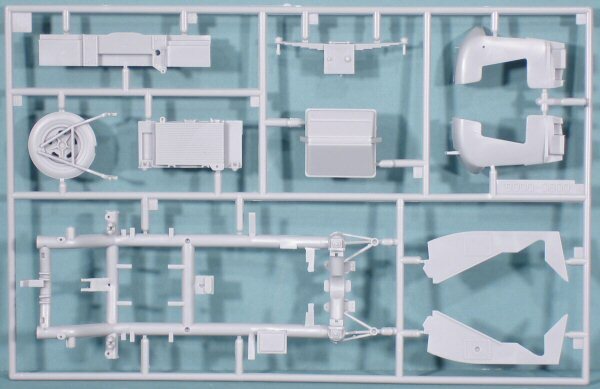 The problem with chromed parts is that removal from the parts trees and any necessary clean up of mold lines destroys the chrome plating and there isn't a product out there to properly touch up these parts. 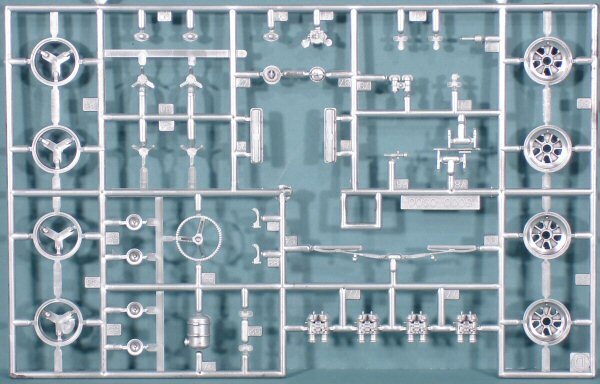 In this release, Accurate Miniatures had the parts coated with an anodized finish that can be touched up much easier. Nice! This kit is still the nicest Corvette on the market and stands alone as a Corvette racer. 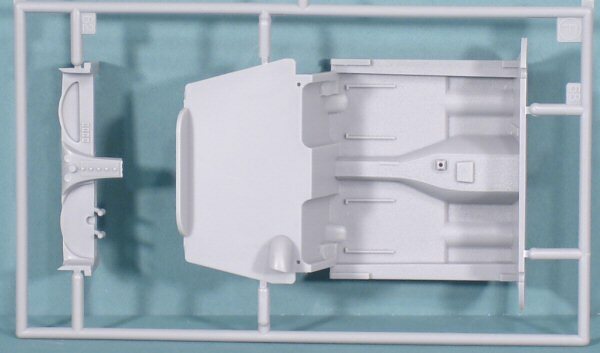 If you want to test-drive this kit, set it next to any other Corvette kit on the market and compare the level of detailing and the sharpness of the molding. The difference is night and day and you'll want to stash a few of these beauties away (after building at least one! ).